The boy wanted a phone worth Rs 37,000 to play PUBG Mobile, but his family members agreed to buy him one for Rs 20,000. 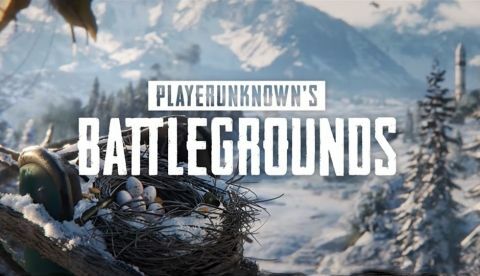 A 19-year old boy reportedly hung himself to death after his family members refused to buy him a high-end smartphone for playing PUBG Mobile, the popular battle royale game that has caught on the fancy of millions across the world. As per a report by ANI, the 19-year old, a resident of Kurla’s Nehru Nagar area in Mumbai, demanded a smartphone worth Rs 37,000 to play the game. However, the young boy’s family didn’t give in to his demands and agreed to buy a phone not more than Rs 20,000. Mumbai Mirror reported the boy had an argument with his elder brother about the new smartphone the night before he took the extreme step. The report identified the victim as Nadeem Sheikh, who worked as a sales executive and lived with his mother, elder brother and his wife and kid. The report states that Nadeem was hooked to the game and was eyeing a particular phone to play the game better. While his elder brother agreed to give him Rs 20,000 for a smartphone, he was quite adamant about wanting the entire amount. He even reportedly returned the money his elder brother gave. Following the argument, according to the Mirror report, the Nadeem continued to play games on his phone after his family members went to sleep by 2:00 AM. Later, the elder brother got up to go to the toilet when he found Nadeem’s body hanging by a rope from the ceiling fan in the kitchen. The police have registered a case of accidental death. PUBG Mobile has certainly managed to attract a burgeoning group of players. Players, who have never played on PC or consoles and simply leapfrogged to mobile. The game itself offers strikingly similar experience, that too in a multiplayer environment, having all the ingredients to keep players hooked for hours. The game was recently adjudged the best Android game by Google Play Store, but it also found itself amidst a lot of negativity. The game has been blamed by student bodies for being a detriment to studies, while an 11-year old boy has reportedly moved the Bombay High Court to ban the game on grounds of being addictive and spreading wrong values to children. I want to buy a one plus one mobile phone?